New satellite images show modifications, improvements, to North Korean nuclear site despite talks with US. North Korea has continued upgrading a nuclear facility, despite the agreements made between US President Donald Trump and North Korean Supreme Leader Kim Jong-un. Satellite images from June 21 show that "improvements to the infrastructure at North Korea's Yongbyon Nuclear Scientific Research Center are continuing at a rapid pace," 38 North said, emphasizing the completion of a new pipe connecting buildings at the site. In addition, two non-industrial buildings have been added, and the site's cooling system has been modified. 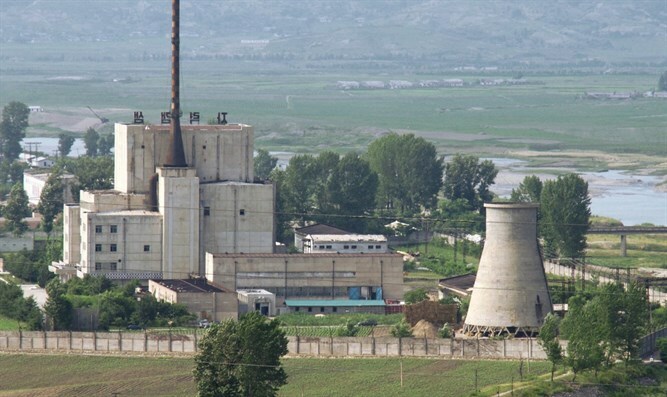 However, analysts at 38 North added that work on the country's nuclear facilities "can be expected to proceed with business as usual until specific orders are issued from Pyongyang" and "should not be seen as having any relationship to North Korea's pledge to denuclearize." "We don't have the deal yet, we just have a general commitment," the site noted. Earlier on Thursday, US Secretary of State Mike Pompeo said there was no chance North Korea had misunderstood US demands. "We’ve been pretty unambiguous in our conversations about what we mean when we say complete denuclearization," he emphasized. On June 15, US President Donald Trump said the conflict with North Korea was "largely solved." "We signed a very good document," he said. "But more importantly than the document, I have a good relationship with Kim Jong Un.